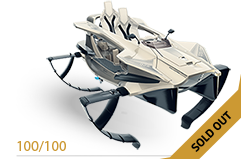 Quadrofoil Premium Partner Program is intended for the most successful Slovenian and International companies that would like to support the Quadrofoil project at home and abroad. 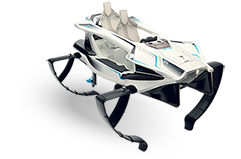 With worldwide recognition and success, Quadrofoil established a good reputation within different industries, ranging from high-technology, boating, automotive, media etc. Being on the forefront of changes within the boating industry and building a framework aimed to change the way we perceive transportation, Quadrofoil has positioned itself as the industry leader in designing and producing 100% electric, high energy-efficient watercrafts that use hydrofoil technology to bring the never before seen performance and comfort. Being a Quadrofoil Premium Partner represent the partner's involvement and contribution to green future and superior eco-friendly technological solutions. It shows your clients you share the passion, vision and dedication to a project that represent the 21st century solution for overcrowded and over-polluted streets. Quadrofoil Ltd. provides its Premium Partners with a possibility to further build their public appearance, strengthen their brand and expand their reputation to different business fields around the world. We offer promotional activities within and beyond our basic activities, using our extensive media presence and connections. We also provide our Premium Partners with individually tailored activities that best suit their brand – from corporate Quadrofoil events, VIP testing, presence on Quadrofoil events etc. Note that we partner only with companies that share our values. 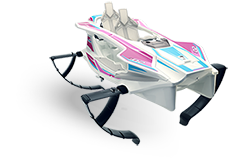 Being a Quadrofoil Premium Partners is an exclusive privilege offered only to one company from a certain industry branch.